(CNN)Federal District Judge Reggie Walton expressed uncertainty about the redactions Attorney General William Barr is making to special counsel Robert Mueller’s report and suggested he may want to review the Justice Department’s redactions for himself once versions of it are made public. The 5 fights to expect after the Mueller report is releasedThe BuzzFeed case is the second legal effort so far to get a federal judge to review the Mueller report. The other came from the Electronic Privacy Information Center in the first lawsuit filed seeking the full report after Mueller announced he had ended the investigation.Walton said in court Tuesday he could ask to review the highly anticipated document in full confidentially, after the Justice Department releases a redacted version to the public and Congress on Thursday, and then subsequently give it to organizations that requested it under FOIA. 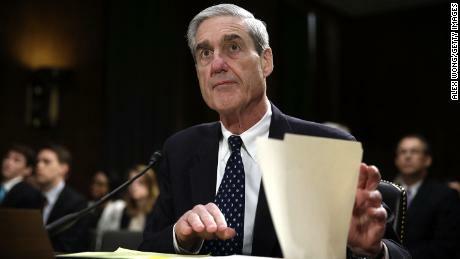 That type of review would be a win for those suing for the document because it would bring in a judge to check the executive branch’s decision-making on redactions.”That’s something we’ll have to work through and something I’ll have to think about,” Walton said.Read MoreA separate judge did this in CNN’s court case seeking former FBI Director James Comey’s memos about his meetings with President Donald Trump.Walton is handling both lawsuits over the Mueller report so far, and wants to hear from the Justice Department again on May 2.He’s told the parties in court he’s interested in putting the proceedings on a “fast track,” he said Tuesday. However, Walton has denied early requests from BuzzFeed and the Electronic Privacy Information Center to speed up the Justice Department’s release of the document.”We don’t know exactly what is going to be produced by the government on Thursday. I would hope the government is going to be as transparent as it can be,” Walton said.